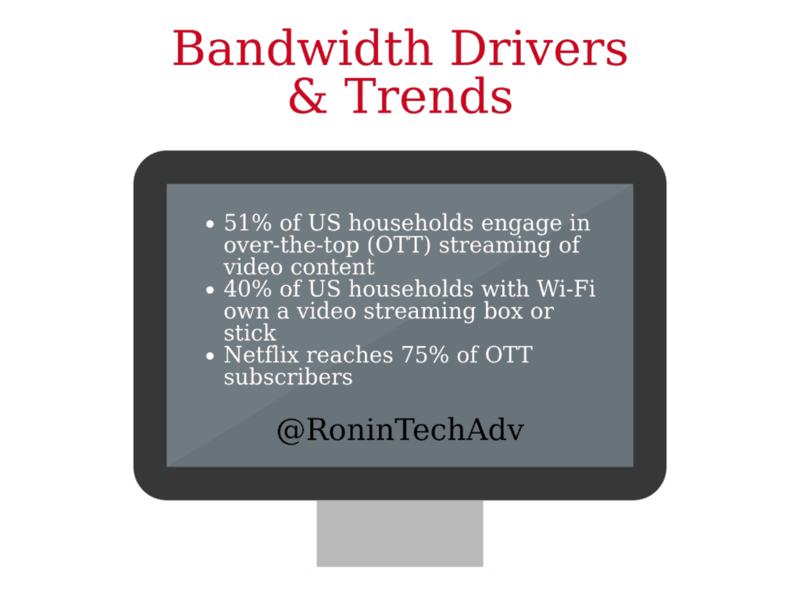 The applications that create exponential demand for broadband usage. Digital Transformation matters because larger service providers are already making the shift. They have significant capital and will be able to provide a full suite of services to your customers and make your business relevant. New technologies such as 5G and SDWAN will enable providers to reach customers within your service area. These providers have complete wireless and wireline offerings: Internet, voice, video, and wireless—all integrated and working together seamlessly. – For new requests, do you have a standard offering or is it all ICB? – How are you measuring your sales, marketing, and support? – Do you use a CRM like salesforce? How many groups within the company use it? – Do you have different service offerings for different types of customers? – Have you created different marketing messages or branding for customer types? – What services are you developing in the coming year? – What new markets can you expand into? A robust broadband infrastructure is a compelling differentiator for economic development teams. Today’s business applications require high-speed connectivity including Internet access and services supported by a fiber network. Communities with good broadband infrastructure can support traditional office workers as well as digital workers. Digital workers are employees that work from home and require services like high-speed internet access and unified communications to carry out their jobs. You want these digital workers in your community for economic development; 75% of employees who work from home earn over $65,000 a year, meaning they make more and spend more than the average office worker. Fast wi-fi allows for telehealth, or meeting with a doctor remotely from your home, as well as improves education due to distance learning. Distance learning allows students to take classes all over the world and go on virtual field trips. Much of the homework students receive today requires an internet connection as well. So compelling is the web as a business resource that modern commerce simply cannot function without it. Not only will companies find themselves at a competitive disadvantage without broadband, but communities that fail to invest in their digital infrastructure may discover that their economic development initiatives are destined for a similar fate. Are you looking to develop a plan for creating broadband infrastructure in your community? Give us a call at 303.678.1844 or email hello@roninpbr.com. A leading trend at this year’s CES was the use of voice assistants. Voice assistants are likely to become a leading commerce platform in which businesses are able to connect with customers. 24% of 5,000 people surveyed across 4 countries stated they would prefer to use a voice assistant than a website, and this number is expected to grow over the next few years. Speaking of the Internet of Things, Samsung is going all in on IoT. Samsung confirmed all their products will be IoT-compatible by 2020. 90% already are as of today. So what does this mean for users? Well, it depends on what Samsung appliances they own. One example is buying a new Samsung TV; people who do will no longer have to worry about entering usernames or passwords for services like Netflix and Spotify when they initially set up their TVs. That information will be automatically entered into the TV by checking other systems in which the customer has logged in, making it a more seamless experience. The TV also includes Bixby, a voice assistant, and will be able to double as a central hub for smart products all around the home, letting users do everything from see who is at the front door to adjust the thermostat. Also working towards a seamless experience is Verizon. At CES 2018, Verizon announced it is working on a couple of new services: the carrier is planning an over-the-top (OTT) content offering and a connected home product, a platform for residential customers to help managed things like smart lights, heating, and alarm systems. In the bigger picture, everything is about smart cities. They will influence growth, transportation, cities and towns, industry, and our planet. Smart cities encompass IoT, 5G connectivity, transportation and smart automotive, energy and utilities, health and public safety, artificial intelligence, and data analytics. Anticipated global smart cities spending by 2020 is $34 billion. Service providers should keep in mind the continued trend for more devices, more bandwidth, and the need for a wifi broadband service that can keep up with the demand. Give us a call today at (303)-678-1844. The FCC’s Connect2Health Task Force recently released an interactive map of the country which maps broadband and health across the states. The data is revealing and shows how reliable broadband impacts healthcare through things like telehealth, which is on the rise. Telehealth applications are a major driver for broadband adoption. It’s mentioned and as point of discussion in the CVS / Aetna merger talks as well as a key reason for municipal broadband. To be effective, it’s important to dig further into the details on what it will take to implement these telehealth services. For patients using the applications at home, there must be a secure service that allows residents to do so. Most likely, this would require HD voice and video conferencing, which means there should be a minimum of 50Mbps or more—this is 2x the speed of the minimum FCC requirement for broadband. Regional health clinics and hospitals need a secure, high capacity service that can connect them to larger healthcare systems and headquarters as well as their patients. In order to do this, they need a broadband speed of 100Mbps or more. Finally, the broadband and services must be reliable which means the end user (patient or healthcare provider) needs a consistent user experience with clearly defined SLA’s. This is where Ronin Technology Advisors can help. Give us a call today (303-678-1844) and let’s discuss how we can help you develop and deliver the services your communities need. We’re proud to be a digital sponsor this year at the 2018 PEC Showcase and we’ll be speaking about the market for business communications. How big is the communications market and how fast is it growing? What services should you be investing in to stay relevant? How will competitive threats and new technologies such as 5G and SDWAN impact your business? Recently Comcast exceeded their earnings estimates while losing a record number of video subscribers. Why is this important? They’ve got a plan and roadmap on how they look at the services they’re delivering and the services their customers are looking for. Move away from low value services – Whether it’s traditional cable TV, regular home phone service, or sub 25Mbps internet access, in today’s market consumers are looking for value. Identify your high value services. These are the services that delight customers – more speed, greater capacity, and new features, and ultimately the customer has more capabilities. For Comcast, their high value service is broadband. Diversify with complimentary services. Broadband isn’t just internet access, it is an enabler of higher margin services such as ethernet WAN, unified communications, and SDWAN. Are you seeing a decline in margin and/or subscribers? Are you looking to add value to your current services? Are your business services different than your residential services? Want to know how to get more margin out of your existing network? Give us a call at 303.678.1844 or drop us a note hello@roninpbr.com. We’d love to hear about your business and how we can help. We may be on the verge of a second Green Revolution thanks to the Internet of Things. Inmarsat researchers found that 62% of agritech companies have already deployed at least some IoT infrastructure. An additional 27% of respondents planned to roll out IoT tech in the next 6 months. By 2022, Inmarsat expects 12% of all agriculture companies’ budgets to be spent on technology. Technology spending across Ag is expected to double over the next 4 years. Connected farms will be the future. Do you have the right services to capitalize on this market? Give us a call at (303)-678-1844.